N25 alcohol still: fractional distillation. 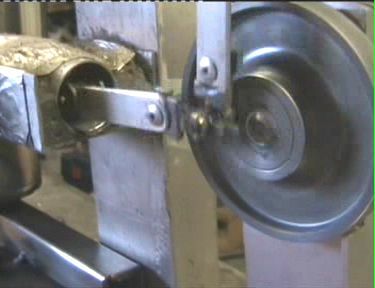 N25 Alcohol still: Gin distillation. Here is our new development: a real marvel in the world of distillation equipment that combines affordability, high efficiency, superior quality, and simplicity - the N25 fractional alcohol still. This distiller produces 95% ethanol, no percentage decline from start to end of fractional distillation. N25 homebrew still includes a 25-liter stainless steel boiler with waste release valve. A fractional column (that also used as a stripping column), with packed reflux cartridge that slides into the primary column and thus makes it fractional: the distillation column is hollow inside and once installed onto the 25L boiler acts as a stripping column, producing raw spirit at the rate of 3L per hour. In case to perform fractional distillation, the sliding reflux column is inserted into the primary column - converting it into a fractional column with all proper reflux ratio control. N25 fractional (valve controlled reflux) still has 100% stainless steel construction; unlike other overpriced and densely packed with plastic parts stills. And during distillation there is no ethanol and plastic contact, the plastic tubes are for cooling water supply only, the sliding column made out of stainless steel and packed with stainless steel coils (no copper and stainless mix as some other stills have with a stainless column and copper packing; two different metals equals: electrochemical reaction). This distiller is ideal for a hobby brewer. 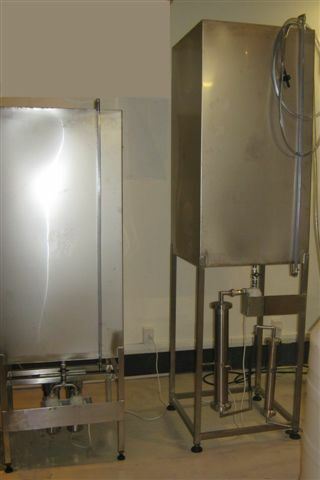 For soap maker who needs a bit of ethanol or as laboratory equipment (research, educational institutions) to produce ethanol on a small scale - unlike a glass distiller that used in the lab, this still is not prone to damage. It is not fragile (stainless steel) and will last a lifetime The N25 fractional alcohol still is capable of producing 1500mL of purified 95% ethanol per hour. The N25 fractional still can provide 95% ethanol on a small scale, and alcohol can be used either as a fuel or as a base for alcoholic drinks production.